Today, RFcnn.com, one of the world’s leading connector manufacturers and retailers, introduces its latest collection of SMA RF connectors. All the new items are now provided with big discounts, from 10% to 32% off. According to the sales team leader, an RF connector is an electrical connector made to work at radio frequencies in the multi-megahertz range. It is typically used with coaxial cables and it maintains the shielding that the coaxial design provides. Also, it can minimize the change in transmission line impedance at the connection. SMA RF connectors are the best models of RF connectors. 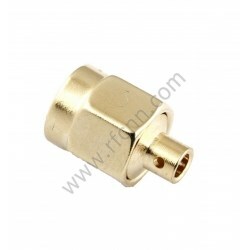 “We are happy to release our latest collection of SMA RF connectors. Nowadays, creative projects are developing very fast, so more and more high quality SMA RF connectors are demanded in the global market. We are proud that we can provide top quality products at affordable prices for customers from the entire world,” the CEO of the company states. RFcnn.com belongs to Zhenjiang Fourstar Electronics Co. LTD, which is a China based company that aims to provide customers high quality products at the lowest possible prices. A large proportion of RFcnn.com’s customers will come back soon after their first deals.